Transparency, such as publishing details of fishing licences, must be improved to eradicate illegal fishing and prevent the collapse of Ghana’s fishing industry, according to a new report by the Environmental Justice Foundation (EJF) and Hen Mpoano, under the EU-funded Far Dwuma Nkɔdo project. The report reveals that the Ghanaian fishing industry suffers from a shocking lack of transparency, which allows illegal operators to disguise the identity, ownership and history of fishing vessels, avoiding detection and sanctions. As a result, illegal fishing is rife and vast over-capacity in the fishing fleet continues to decimate fish stocks. Although Ghana’s laws forbid any foreign ownership or control of industrial trawl vessels flying its flag, Chinese companies operate extensively through Ghanaian ‘front’ companies, a previous report by EJF revealed. Using opaque corporate structures, they import their vessels, register and obtain a licence to fish. These actions are enabled by a complete lack of transparency including disguising who is responsible for illegal actions and who controls and benefits from Ghana’s industrial trawl fleet. 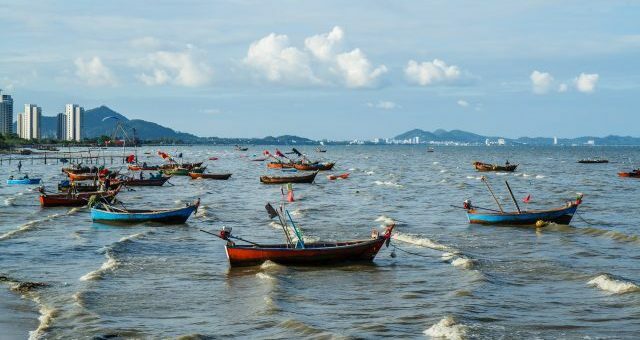 Additionally, according to the report, fines for illegal fishing are often negotiated – through opaque out-of-court settlements – to a fraction of the US$1 million minimum set out in the law, which can foster corruption and significant loss of state revenue. ... says EJF Executive Director Steve Trent. The ongoing revision of the 2002 Fisheries Act provides a unique opportunity to put Ghana’s fisheries on the road to sustainability by enshrining these crucial measures into national law, the report stresses. ...says Director of Hen Mpoano Kofi Agbogah.